Influenza virus H1N1. AFM images. Semi-contact mode. Profile in cross-section. Images was obtained with SPM Certus Standard. Images size 20х10 μm, 300х160 points. Influenza virus H1N1. AFM images. Semi-contact mode. Profile in cross-section. Images was obtained with SPM Certus Standard. Images size 20х20 μm, 300х300 points. Influenza virus H1N1. AFM images. Semi-contact mode. Profile in cross-section. Images was obtained with SPM Certus Standard. Images size 6.5х6.5 μm, 300х300 points. Influenza virus H1N1. AFM images. Semi-contact mode. Profile in cross-section. Images was obtained with SPM Certus Standard. 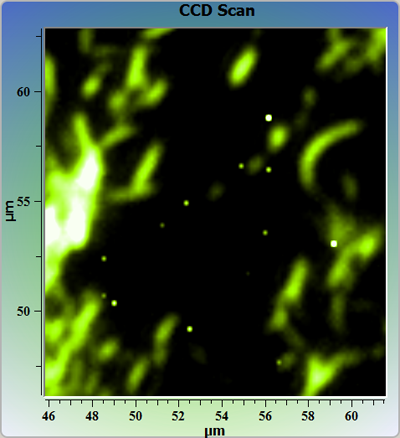 Images size 3.3х3.3 μm, 300х300 points.